I hired Inge and Piotr from Amberth for a second project (after using them to re-model my bathroom in my former flat in 2012). 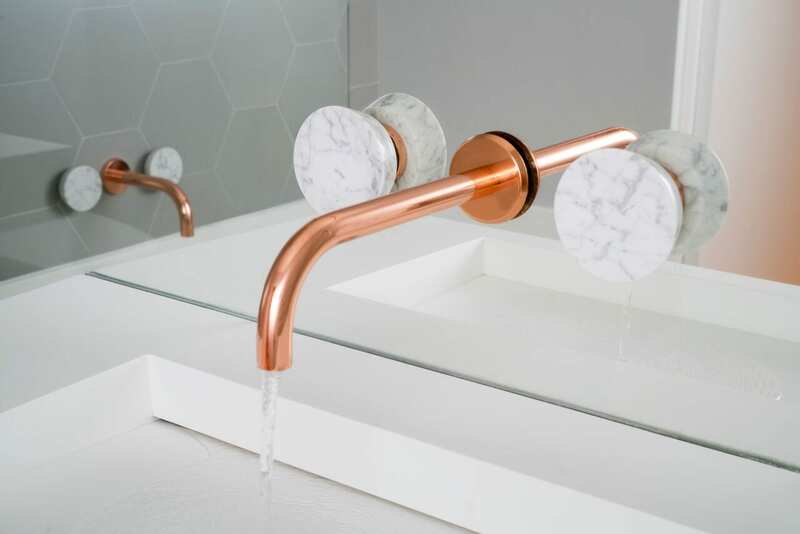 The new project involved replacing two dated bathroom suites in a Georgian terraced house with new, space-efficient layouts using modern fixtures and finishes to create new bathrooms that wouldn’t look out of place in a boutique hotel. The results were superb. The main family bathroom has been cleverly re-designed to incorporate a deep, oversized bath tub yet still allows for a large free-standing rainfall shower in a “wet zone”. 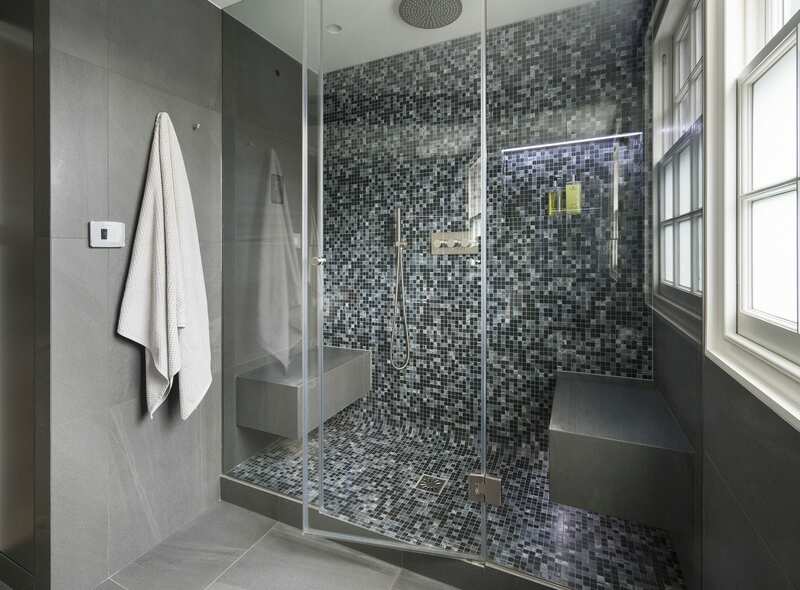 The second bathroom now includes a modern, oversize shower/steam room space, with benches and a steam function. 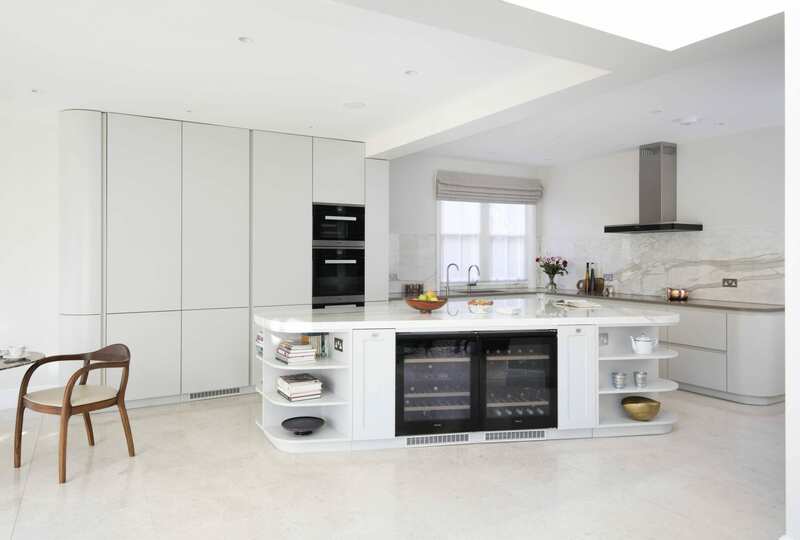 Built-in cupboards, lots of mirrors, underfloor heating and bespoke LED lighting finish the look and feel. I would highly recommend Amberth; the quality of the design and fit is fantastic and Inge, Piotr and the rest of the team were a pleasure to deal with. A special mention for the tiler – the attention to detail in fitting the tiles (including on difficult corners) was superb! I’ve used Amberth for various projects, including kitchen and bathroom refit and most recently, to integrate a large desk/bed unit into a wall and cut and fit a marble bathroom shelf. The guys were very efficient, professional, helpful, clean and tidy. I’d definitely use them again. We want to place on record that we are absolutely delighted with the quality of your work, and our appreciation of the quality of the workmanship. Inga and her team are professional from start to finish. We used them first to remodel our kitchen, which is now an amazing space which looks and feels double the size of the old one. We then asked them to refurbish our two bathrooms and they are equally as impressive. Amberth go out of their way to ensure that you are happy with the design and nothing is too much trouble. I would not hesitate to use them again. Amberth provided a good service in designing, manufacturing and installing my kitchen. As always with these jobs not everything goes to plan but they were on hand to sort out any niggles and ensure that I ended up with a kitchen I’m happy with :). Amberth Interiors created a stylish, unique bathroom design for our Clerkenwell apartment. They completed this project to an exceptionally high standard and our bathroom looks beautiful. Piotr and his team at Amberth Interiors were considerate and professional at all times. They were punctual and thoughful, always leaving their tools and equipment tidily at the end of each day and ensuring that our propery was protected from dust and other damage. The quality of their workmanship is outstanding. From the immaculate tiling to the fine finish of the cabinetry and paintwork, all aspects of the project were given careful attention and time. Everyone who worked on the project was friendly and polite. We have now commisioned Amberth to create a second bathroom for us and recommend them wholeheartedly. They are a great company. We brought our ideas to Amberth. They took our ideas, gave their expert advice and provided a beautiful kitchen, exactly as we had in mind. It was very competitively priced and of the highest quality. We love it. Amberth are one of the most efficient team of professionals I have ever had the fortune to work with. They are undertaking a full refurbishment of my house which is almost complete. I am so pleased with everything they have done and the first-class quality of their workmanship. Everything is taken care of for you, including help with different designs, picking materials and the finish you get is stunning… their attention to detail is second to none. I have recommended them to friends and colleagues and will continue to do so. If there were more designers and builders like the team at Amberth, then the world would be a happier place. I hope this reference doesn’t sound too far-fetched or over the top… I don’t usually give out this much praise. We are extremely happy with the design and fit service we received from Amberth. We already knew the general layout of the open plan kitchen, but they gave us so many suggestions which really helped shape the kitchen. They were very knowledgeable about the contemporary design and the grey and brass finish we liked, and our end results are dramatic yet timeless. Highly recommend. Amberth gave us a 5-star service. We highly recommend their services. 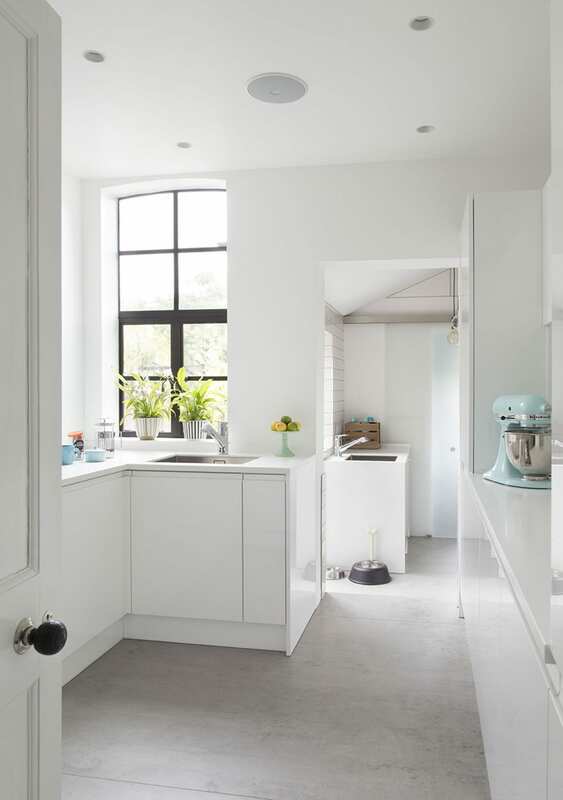 They designed exactly what we wanted – and then fitted a kitchen that was even better than we expected. Inga and Agris in the showroom were always available and helped us get the most cost-effective design and appliances. Piotr with his two installers were extremely clean and efficient. They worked full days from 8am until 5pm. The quality and finish of their work is first class. We would use them again in the future with no hesitation. We can’t thank them enough and have been recommending them to all our friends and colleagues. We realise this review might sound over the top – but it is all TRUE. Inga and her team care about producing a great design and finding the best solutions for your project. They spend the time to find out what you want and the time to find solutions to your project’s challenges. Truly a bespoke kitchen specialist. With Amberth I never got the impression that they wanted to sell me model A, model B or model C of their kitchen ranges, they took the time to visit the space that i needed replacing, worked with me on the plans (and took my changes in good grace and understanding and worked with them – as opposed to some professionals who want to tell you they know better, Amberth used their expertise to guide and question but foremost in their mind was to have a fantastic kitchen delivered how i wanted it). 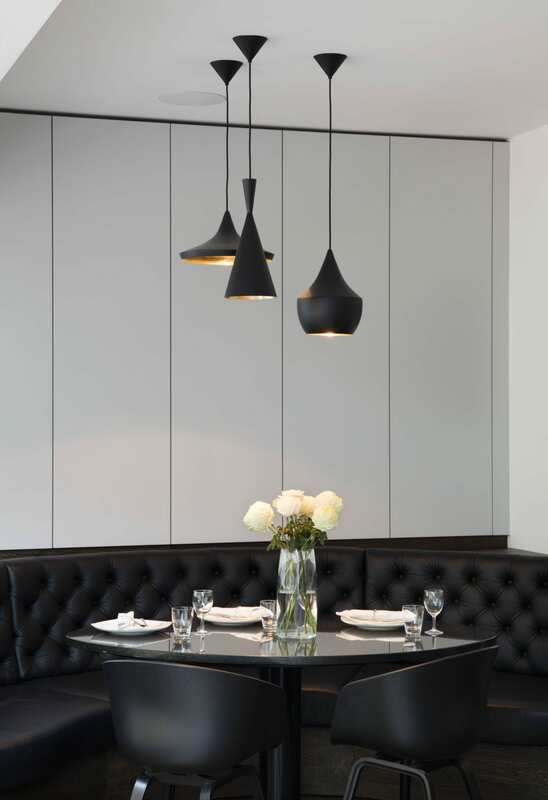 their showroom in North London is comfortable and welcoming and they take the time to make sure every element of the kitchen is to your choice. I think – in fact – that they are the ones most critical of every part of the kitchen that is being delivered not being happy with the Corian worktop themselves and asking me to see it as they thought it needed some more work and they didn’t want to deliver it without extra work (they were right – it did need some more work). The delivery and installation team were polite punctual and efficient. The output was superb and in fact they spotted some damage to some doors in transit – and fitted them so i had a complete kitchen but pointed out the damage (that to be honest i’m not sure i would have seen it all) and said – look, this is damaged we will put it up now if you are happy with it and we will order you another door and bring it back and swap it out (at no extra cost either). They truly just want to deliver an excellent kitchen that they are as proud of as you are.